Businesses have been exploiting the commercial benefits of SaaS (software as a service) for several years, and many are now asking themselves whether the principle can also be applied to their infrastructure needs. Infrastructure as a service (IaaS) seems a natural progression if your business has been benefiting from the cost savings and efficiency gains that SaaS can deliver. Adopting IaaS platforms could provide significant benefits, but with an ever-growing number of providers, it's difficult to know which will be the best choice of service provider. The current leaders in the IaaS market include Google, IBM, Amazon Web Services, GoGrid, NaviSite and OpSource. What all of these vendors have in common is that they are exploiting the power and flexibility that virtual machines now offer. In the world of IaaS, there are several processor cores available and no limits to storage space or computing power. Care must be taken when comparing like-with-like, as some of the current vendors use their own terminology to describe processing power. For instance, Amazon uses "elastic compute unit" while Google uses "compute engine unit". IT managers should ensure they are clear about these definitions. The attraction of IaaS is clear: IT managers can buy just the server space they need, when they need it, all controlled via a web based dashboard. This self-service approach enables businesses to move away from fixed server platforms and their inherent refresh cycles and simply expand the number of virtual machines as and when needed. The cloud has shown business that an a al carte approach to IT specifications is now relatively simple to set up and manage, and can produce substantial cost savings. However, this has to be carefully assessed. There is a forecasting tool available, PlanForCloud, that can provide support, and there are a number of steps that potential buyers should take in making the decision. For a start, it is important to look closely at the technical specifications of the virtual machines on your shortlist to ensure you are comparing like-with-like. Also, the type of data storage that will be needed has a major impact on costs. 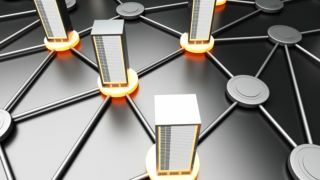 In most instances, IaaS providers will offer local storage that is linked to the virtual machine and block storage that is billed separately, so there should be some consideration as to how block storage is set up for disaster recovery. It is also important to evaluate what kind of applications will run on the virtual machine. If these are not processor-intensive but require a large dataset, businesses can chose a virtual machine with limited processing power, and spend the money saved on more storage capacity. Operating systems in the cloud have also proliferated, with Windows, Linux and Unbuntu becoming familiar. Sticking with familiar operating systems will help IT managers to get new virtual machines up and running very quickly. Integrated virtual machines that include some software installations have also become popular because of their ease of use. Businesses with older legacy applications that impact on their mission critical systems may be better served by standard IaaS installations that IT managers can then modify for their needs. Security concerns have dogged cloud services for some years, but recently these fears have largely been allayed. IaaS installations have high levels of security including, for instance, compliance with PCI. Indeed, the Cloud Security Alliance has been taking major steps in this area to deliver secure platforms within today's cloud environments.